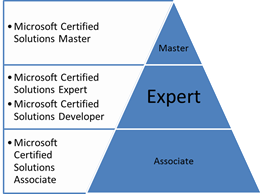 Microsoft recently announced a brand new certification called the Microsoft Certified Master. It is currently offered for Exchange Server 2007, SQL Server 2008 and Windows Server 2008. The MCM credential is given to highly experienced professionals after undergoing intensive training and passing the in-class lab and written exams. The prerequisites are demanding and it may not be everybody’s cup of tea. For instance, to be considered for the MCM training on Exchange Server 2007, the candidate must have 5 or more years of hands-on experience on Exchange 2003, 1 or more years on Exchange 2007, fluency in English, MCTS on Exchange Server 2007, MCITP on Exchange Server 2007 and an MCSE on Windows Server 2003 (or an MCTS on Windows Server 2008 AD)! Even though the new certification makes it easier to identify well-experienced professionals, it may be viewed by some customers as a Microsoft scheme to make more money from Learning solutions and certification. Bottom line – as the number of under-qualified MCSE’s flood/pollute the job market, Microsoft is taking steps to help experienced and highly skilled professionals to stand out from the crowd. There are essentially two ways to get an IT certification. Well, actually three. The white way, the black way and the ‘grey’ way – as I see it. The white way is when you’ve learnt a piece of technology so well, and been working on it for some time and you really feel that you are proficient in it and are ready to take up the challenge – appearing for the test and getting certified. The white way involves learning from classrooms, learning kits, and experience. The grey way is when you’ve learnt the technology through some of the above methods, and maybe even worked with it, but are not yet confident of taking the test but you need to take test (for a job, pay rise, peer pressure, whatever). Then you think of ways of doing it somewhat risk-free and quick – and almost always end up studying braindumps. The dark way is totally illegal, getting some one else to appear for the test! I’ve heard that there are so-called ‘agents’ who do this kind of illegal activities. Its individuals who get certified in this manner that spoil the market and deface the value of certified and skilled professionals. Stay away from the dark ways! By doing such things, you’re making a fool out of none but yourself! There is one thing common between the white and grey methods. Even skilled, experienced professionals like to get some confidence boost before appearing for the big test. That’s where PrepKits come in. I think it all depends on how an individual uses a PrepKit. If you (mis)use it to cram answers into your head (a.k.a memorization) so that you can just spare your brain the effort of thinking while you click away on the answers in the test, then you’re more on the darker side. Certification will do you no good, just a piece of cardboard with your name on it. Whereas, if you’re using the PrepKit as a last minute tool to validate what you know and to get that extra confidence boost, then this is totally different. I believe that if you can pass the Prepkit test on your first attempt, then you’re cut out for the certification. All it takes is to correct your mistakes by reading the explanations provided with the answers so that you understand your misconceptions about a particular feature of the product and learn from the few mistakes. Speaking of prepkits, uCertify PrepKits are a great validation tool to ensure confidence in online tests. Perhaps the greatest differentiating factor between uCertify Prepkits and the others in the market lies in the detailed explanations given for each answer – it precisely tells you why an answer is correct and why the other options aren’t. Hence, the PrepKit becomes more a tutor rather than a ‘cram’ tool that helps you memorize answers for the test. I just passed exam 70-236 (TS: Exchange Server 2007, Configuring) with a score of 1000/1000. The exam wasn’t difficult. I had used the e-learning material available on the Microsoft learning website to prepare for this exam. I’m finally a Microsoft Certified Technology Specialist on Exchange Server 2007! There is no better time to become a Microsoft Certified Professional (MCP). Certification can help validate your skill set at any point along your career path, enhance long-term career prospects, improve project/deployment knowledge and skills, and set you apart from your non-certified peers. Please use the unique promotional codes for Culminis Community Members when you register for your exam. *The 40% discount on Microsoft Certification exams is valid only for first-time Microsoft test takers. The offer is valid in EMEA only and is not applicable to current Microsoft Certified professionals. Offer only Valid until 30th June. If you are an MCSE on Windows Server 2003, you can register for a 40% discount voucher on Windows 2008 upgrade exam when it becomes available in the last quarter of this year. This offer seems to be valid only if you register for the voucher before 30th of June, 2007. The MCSE on Windows Server 2008 is not going to be called MCSE. 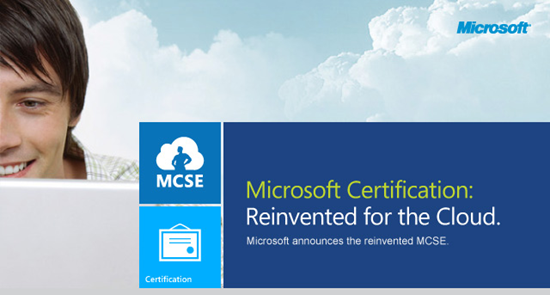 Rather, it is going to follow Microsoft’s new generation of certification – the MCTS and the MCITP. MCTS certifications are obtained by passing just one exam. MCITP certifications require a number of MCTS certifications to be obtained. MCSE and MCSA on Windows 2000 Server have no certification upgrade path.